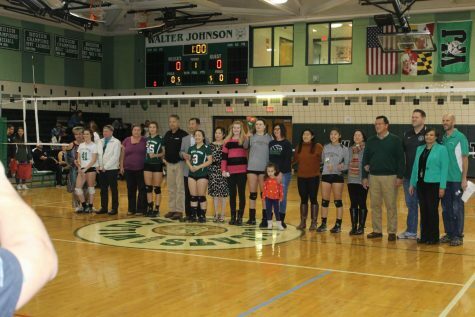 Walter Johnson volleyball on the move! 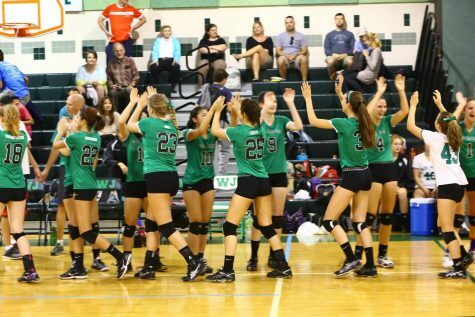 The season is still young, but the Wildcats’ girls varsity volleyball team are coming out of gate ready to play. Right now their record is 3-3, but nevertheless, it’s a strong group this season. 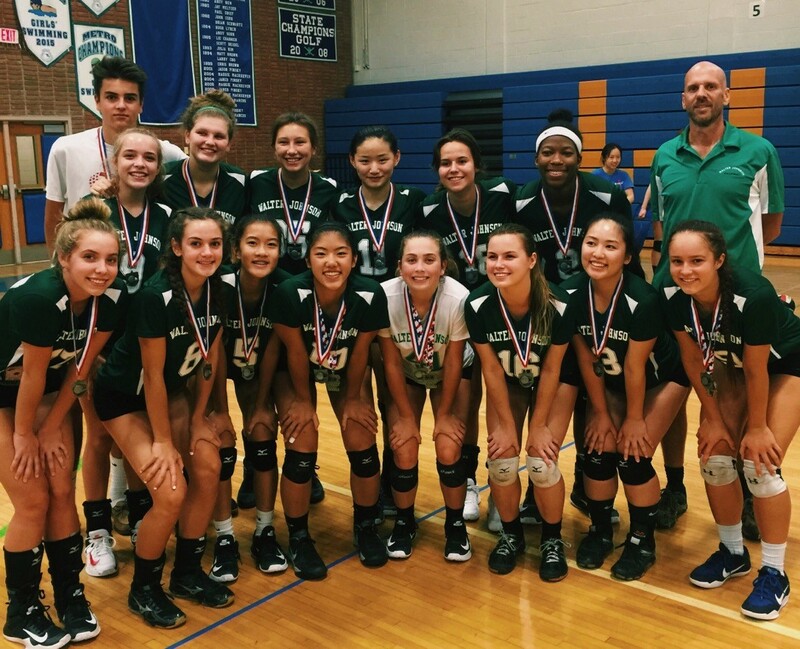 Girls’ volleyball will now return home on Monday, September 25, to play Bethesda Chevy Chase High School. The Wildcats have a lot of optimism going into this season as they look to set themselves up for a playoff appearance. 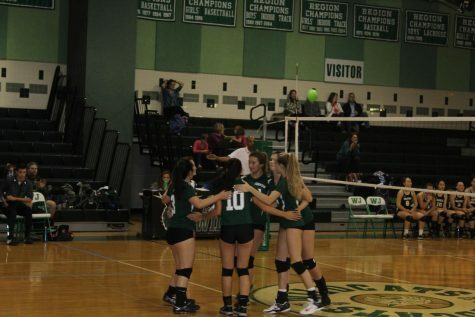 On Monday September 5, the girls’ varsity volleyball team opened up their season against Damascus High School, unfortunately the girls were swarmed by the Hornets and lost 0-3. In their second game, on Thursday, September 7, the l team rebounded at home against Blair High School. 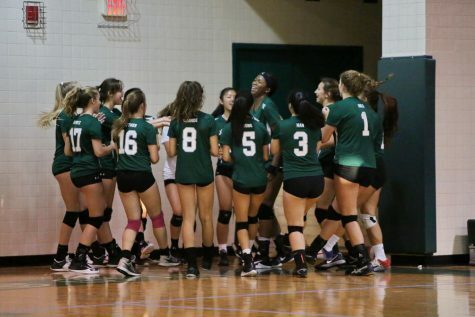 The girls played an intense game against the Blazers as the game went to a fifth set. The Wildcats pulled out the victory in the end winning 3-2. The atmosphere was very intense as the team cheered for their fellow teammates to play harder. Senior player Nezzy Dittmer, who’s been on the team since her sophomore year, weighed in her opinion on the game. “It was pretty intense. I almost lost my voice. When we were playing, we were all scrambling for every ball to make sure we won every point we could,” Dittmer said. Head coach Tom Tepper was pleased with the effort from the team. “There was no shortage in hustle. There are things we can improve, but I’m pleased with the result,” Tepper said. The Wildcats won their third game on September 11 against the Quince Orchard Cougars. 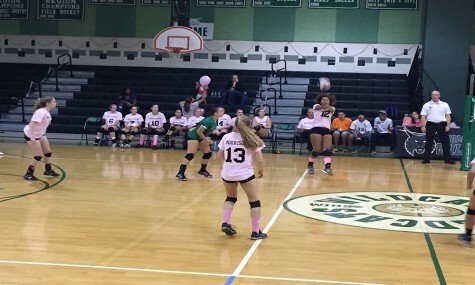 The Wildcats won in resounding style, walloping the Cougars 3-0. Senior captains Jessica Lee, Sophie Lembo and junior captain Erin Szumlas are embracing their leadership roles and the results are showing early on. 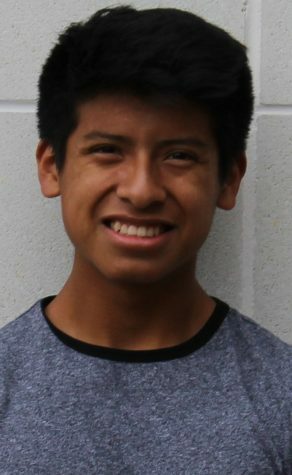 The fourth, against Wootton High School on September 13 played out differently. 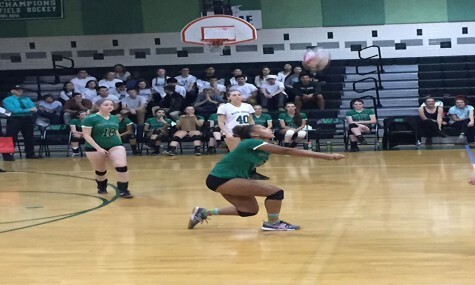 The Wildcats were defeated for the second time as they lost 3-1. 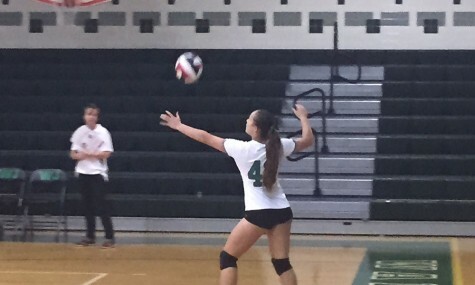 Girls’ volleyball opened up strong, winning the first set. Unfortunately, they lost the next three sets and inevitably the match. Wootton has now won the last two matches against the Wildcats. 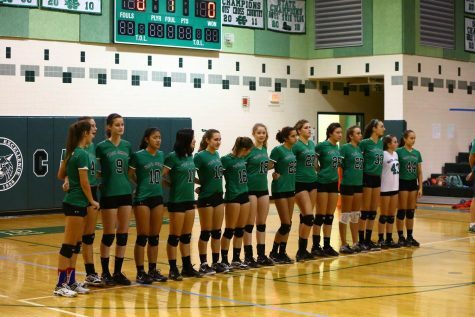 On Saturday September 16, the girls varsity volleyball team travelled to Churchill to compete in the Churchill Tournament. The girls had a strong performance winning 4 of the 5 games the played end, ultimately resulting in their finish of second place. The girls came in second place last year as well. 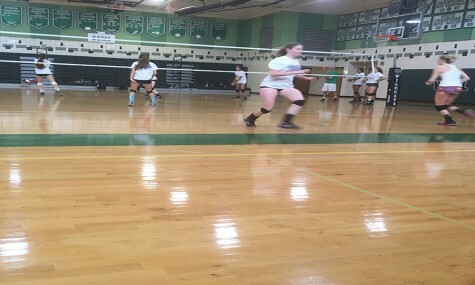 Girls’ volleyball tries to keep up the pace!